Condiment research turns up new info all the time. 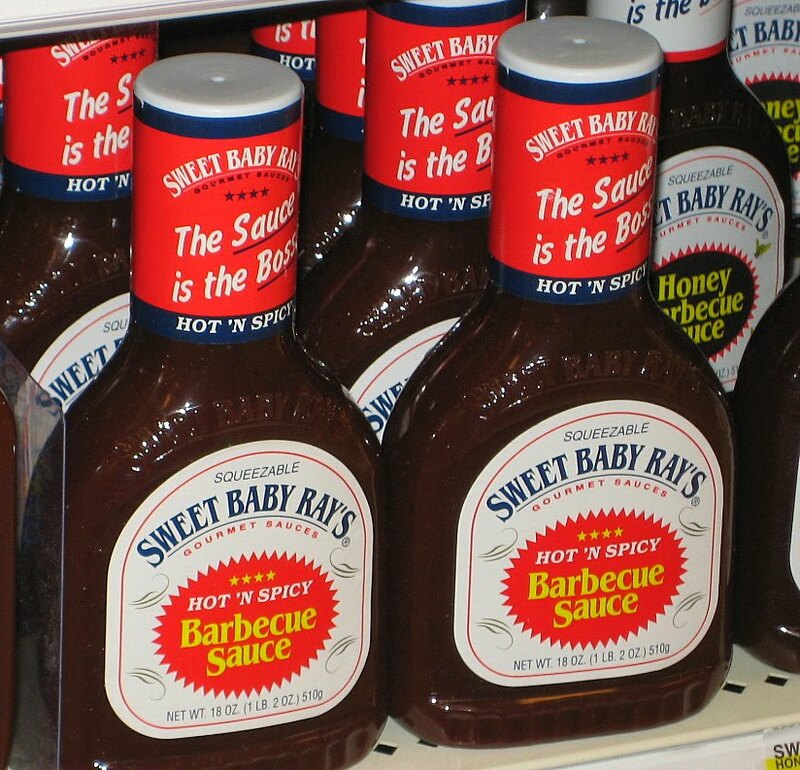 Week 2 of the Monday Sweet Baby Ray's spotlight focuses on the Sweet 'n Spicy flavor. However, after careful examination of the above pic, I noticed that the original flavor was named "Hot 'n Spicy," as recently as 2007. No matter...Sweet 'n Spicy still has a decent jalapeno kick. 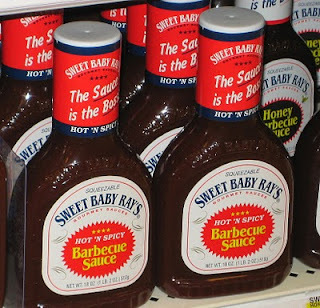 The Sweet 'n Spicy SBR is pretty straightforward. It's essentially the Original formula cut with jalapeno peppers. I'm no true pepper-head, but I can appreciate a good kick in the tongue every once in a while. I tend to use S'nS SBR on Mexican food, as well as Central and South American foods. It's also a great substitute for Original SBR when you want to take things up a notch. Note: The heat in this sauce is actually pretty mild. Occasionally, I'll cut it with sriracha or Huy Fong Chili Garlic Sauce to take it to the next level.